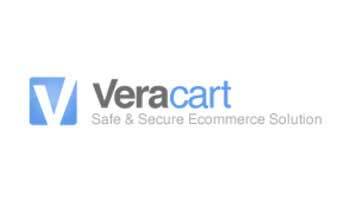 Veracart is one of the most comprehensive web based shopping carts available. They offer unlimited products with all of the management, shipping, customer help, and security tools you can imagine. For $24.00 a month you cannot ask for much more. The Veracart features list gives a good overview of the service without being too overwhelming. They also have a number of products to serve small businesses or corporations. The best thing about Veracart is that you will have FREE technical support for life. The Veracart system is designed to be easy to use, no need to understand programming or website design, everything is included in the software for you. The entire shopping cart system is web-based so you don’t have to download anything on your PC or server. The Veracart software is compatible with virtually any website, hosting plan, or server. The Veracart software has the best shopping cart features that are fully customizable so that you can design your site to have the exact look and feel that you want. Veracart allows you to sell products or services. Of course, an SSL certificate is included with your cart so all your customer data will be secure. Veracart offers a number of shopping cart plans for you to choose from. The Veracart system provides 4 shopping cart plans to choose from. If you are not sure which plan to choose, call the sales team and they’ll help you out. There is no contract to sign and you can upgrade, downgrade, or cancel at any time. The Veracart software also allows you to customize your plan by choosing a custom shopping cart solution. The image below gives you an idea of the current pricing for the different plan options. As you know, there is a lot to shopping cart software and, depending on what you are selling, there are a lot of options you will likely want to customize for your business and products. If you have specific questions about the number of images per product or variables within the individual product listing you can talk with a sales rep to get more information about the customization options. With Veracart you can add multiple categories, suggested items to cross-sell products, and multiple attributes such as different sizes or colors, etc. Veracart puts a lot of emphasis on the marketing tools and features they offer. Social media integration is a big part of marketing because so many people are on social media and use the apps numerous times throughout the day. It can be hard to get your website to show up in search engines for the right keywords but integrating your store with Facebook can potentially put your products in front of thousands of potential customers every day. They also make it easy to integrate with Mailchimp or iContact to send coupons or promotions to your existing customers and eBay connectivity to sell even more products. Veracart offers a free trial that gives you 15 days to try the service and make sure it is a good fit for your store. No credit card is required for you to sign up and there is no obligation to stay with them after the free trial. If you like the setup and feel like Veracart is a good fit for your business you can upgrade to any of the paid plans after the 15 days to keep your shopping cart live and continue processing orders using the Veracart shopping cart software. If you already have shopping cart software and you are looking to switch to Veracart they will be happy to help you move your store. Products can be imported through a CSV file and images can be added through a mass import of ZIP files. Visit Veracart to review their plans and features for yourself. Talk with a sales rep to get more information about any specific questions you have and give the free trial a try. You’ve got nothing to lose and may find that this is the best shopping cart for your needs.